If you’re looking for an exciting and adventurous travel experience, South East Asia should be at the top of your list. South East Asia is a geographic group of 11 countries namely Brunei, Cambodia, East Timor, Indonesia, Laos, Malaysia, Philippines, Thailand, Singapore, Myanmar & Vietnam. 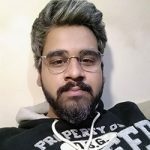 People tend to visit places mostly for culture and landscapes and for that matter there is hardly any better space on Planet Earth than South East Asia. The diversity is immense. Half a billion people live in the region, following hundreds of religions, living in dozens of lifestyles and they coexist. 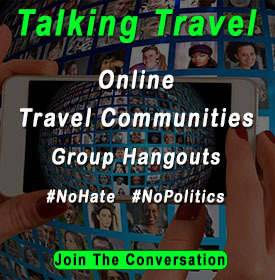 The area offers world Famous Buddhist tourist spots with delicious indigenous cuisines, scenic beaches and lesser prices in general makes this region a top most attraction for globe tramping travelers looking for fun. Located on the bank of River Mekong, Vientiane is the capital of Laos. It is situated on the borderline with Thailand. It is a city that takes immense pride in its rich history and being the economic center hold for the Laos economy. 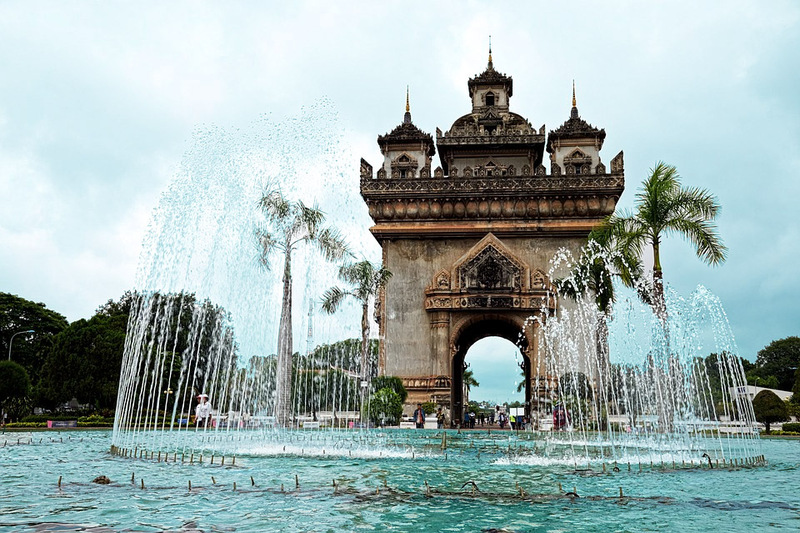 During the French rule in Laos, this particular city was the capital of the country. Original meaning of the name of this very city is ‘city of sandalwood’ well, talk about beautiful city names. It’s surely one of those. Buddha Park (Xieng Khuan) – though it is situated on the outskirts of Vientiane but surely one must go spot if you are even stopping by in the city. The park has 200 skillfully crafted religious sculptures including a 40m high Buddha sculpture. The park is accessible via public transport and is open for tourists from 08:00 – 18:00. Patuxai Victory Monument – although Vientiane presents a unpretentious skyline but the Patuxai Victory Monument is idiosyncratic in this matter. The tower is marvelously inscribed with Hindu Gods portrayals and is a massive concrete structure which may remind one of the Arc de Triomphe of Paris. For a nominal fee, you can reach the top of the monument. Vientiane Night Market – while taking a mild stroll across the riverside, you cannot dare ignore the shimmering night market of Vientiane. Right after the sunset, the vendors begin setting up the stalls right after the sunset. You can buy clothes, accessories, souvenirs , paintings and if you look close enough nearly everything. 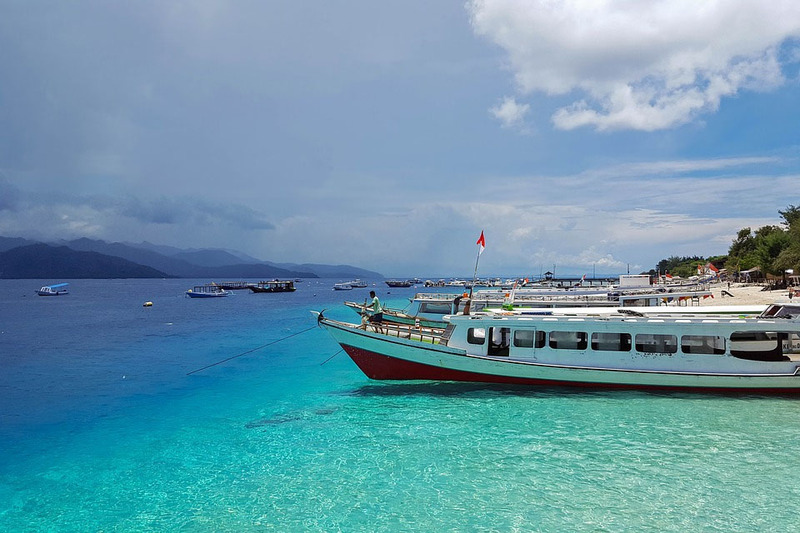 Gilli islands are a group of 3 islands situated in the vicinity of Indonesia. Well, you must have known that one city from an old book that wouldn’t allow cars in its vicinity to keep the calm of the city intact. Well, Gilli Islands is that place. No cars allowed. If you’re looking out for a place outside the hustle & bustle of the urban life, this is your spot. With its serene beaches and soothing ambience, Gilli islands are embodiment of paradise. Diving Centers – Most ideal spot for diving enthusiasts in South East Asia. The three islands have 3 diving centers which are pretty much popular among the divers community. Beach bars – your ultimate escape from the world spot is this. You can find plenty of beach bars across the coast of Trawangan. Post sun set, the place is lighten up with soothing lights and live Reggae music being played with sounds of moving waves in the background. Snorkeling – the shallow, light blue waters of the Gilli would make you snorkel & fin. While you’re doing so, keep an eye on the beautiful sea turtles giving you some warm company. Yangon is the commercial capital of Myanmar. Formerly known as Rangoon, it had been the capital of the country until 2006. Yangon can definitely be coined as one of the most historic cities in the South East Asia region. Yangon had been under the British Administration for over a hundred years so next time when you are strolling across the city and you get to see some Victorian architecture, well, do not be startled. The city also boasts having the Mausoleum of the last Mughal King Bahadur Shah, who was exiled to Yangon and here he breathed his last. 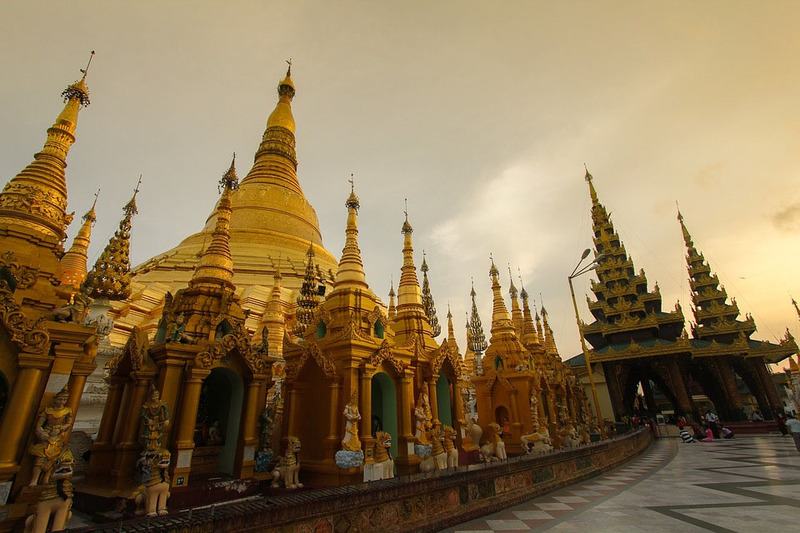 Sunrise over Shwedagon Pagoda – well most people shall suggest you to visit the place. But if you want to experience it in its utmost glory, make sure you be there by the sunrise. It is one of Buddhists pilgrimage sights. When the day breaks and sun begins to shine on the golden structure it disseminates holy vibes all around. The second best view of the monument is at night time of course when it’s glaring & shimmering with countless lights. China Town – if you’re looking out for BBQ stalls, markets & finger licking good street food, this is your spot. At the evening, China Town is full with hustle & bustle. The streets are absolutely teemed with street food vendors selling practically everything. If you are living in central Yangon, you can literally walk to China town. The market starts opening up after 5pm. Bogyoke Aung San – if you are looking for indigenous Burmese jewelry, handicrafts, souvenirs etc. This is your go to spot. Although the prices are a bit on the higher side but with a little bargain you can get what you want. The market was built in 1926 by the British colonialists and also known by the name of Scott market. It’s a good place where to purchase all under one roof. 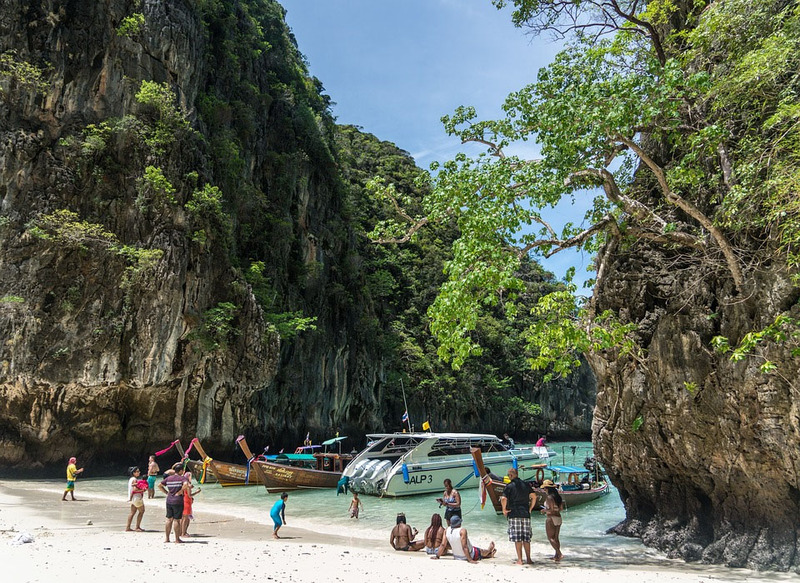 Phuket and Bangkok could take the title of Thailand’s most talked about places but if you’re looking out for the most exciting and happening spots in the whole of South East Asia region, the Phi Phi islands would be one among the top. Visitors who had been there, tout Phi Phi as the superstar of Thailand and it literally is because countless movies have already been shot here. Most famous would be Danny Boyle’s Dicaprio starring ‘The Beach’. The landscape at Phi Phi is alluring. Maya Bay – second largest island in the small Phi Phi archipelago. Maya Beach is the name of the only beach of the Koi Phi Phi island. When you hear the most beautiful beach in the world, what do you get in mind? 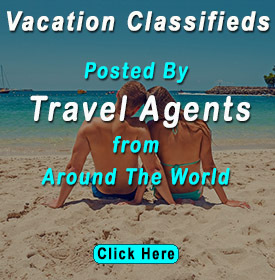 Crystal clear waters, silky smooth sandy beaches & tropical vegetation? Right? Well that’s Maya Bay for you. That’s what it is. Bit by bit. Phi Phi Viewpoint – either if you are a photographer or you’re just someone looking out for an amazing view of landscape. This is an ideal space for you on this island. It is situated at an altitude of 186m. It takes around 20-40 minutes to get there on a well paved path. Now that you’re here, the catch is you must get there before lunch time because the light is impeccable at that time and the view is spell binding. Captain Bob’s Sailing Booze Cruise – if you’re traveling alone and looking for socializing with others this cruise movement got you covered. The best feature about Captain Bob’s cruise sailing is the fact that it lets you discover the most striking sights of the Phi Phi island. The cruise does cover Wang Long Cove, Maya Bay, Loh Samah, Monkey Beach and other spots as well. The sunset view at the cruise is worth a watch of course. It costs 2500 – 3000 bahts for adults. 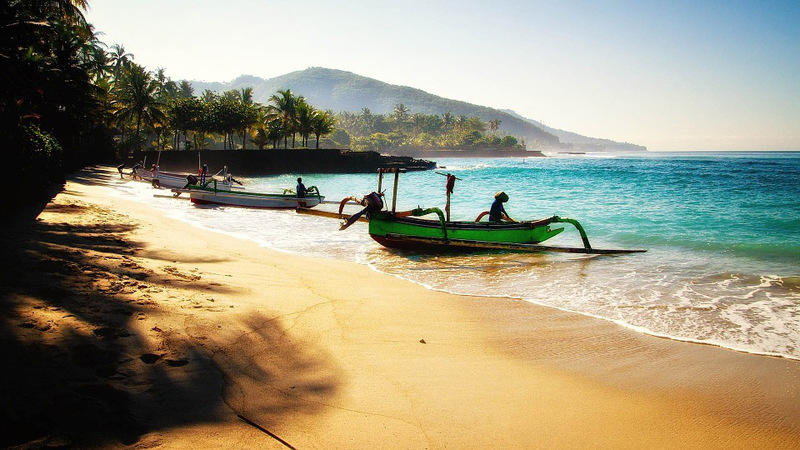 Indonesia is comprised of over 17,000 small and larger islands. Nearly 90% of the islands are accessible and visited by tourists across the globe. But if you happen to search across the web for the most visited island in the world let alone Indonesia, guess what you’d get. You’re right. Tropical paradise at embodied which goes by the name of Bali. Most of the islands you’ll find the South East Asian region shall either have diverse marine life or calm sandy beaches. Well, Bali has both in fact it comes with surplus serenity with its lush green terraces of vegetation. Ubud – This is of course is the location that tends to define Bali and its sheer beautiful landscape. This is the location you get to see on countless internet wallpapers. Yes! It’s that much appealing. Ubud is also touted as Bali’s cultural heart. It has more than a few museums with so many events of dance and music happening most of the times at so many of its art galleries. If you want to escape from the tourists rush around, just hire a bicycle and roam around country side. There is so less to communicate in mere words about Bali. One must be there. Pura Luhur Uluwatu – it’s 1000 year old temple located at the southern tip of Bali. It is only one of the 9 major temples of Bali. Several sanctuaries are made inside the temple, although only Hindu priests are allowed to visit the innermost sanctuary but the rest of the temple is open to all tourists. The temple is a structure that stands at the tip of the hill. The view is luxurious and calmer as it may seem. Seminyak – If you’re looking for posh restaurants, luxurious beaches & exclusive tourist destinations, well here is your spot. The town of Kuta, which is quite a tourist spot as well is in close proximity to Seminyak and after Kuta’s exponential growth, Seminyak has seen tourists across the globe pouring in across the year. It offers its visitors with 5-star restaurants, high end boutiques and spas. Each one of these cool places detailed above is different than any other place in the world. The food, the culture and traditions are all different. So you have my list of cool places in Southeast Asia. What places do you like in this area?